A revolutionary approach to get the most out of working in a group. 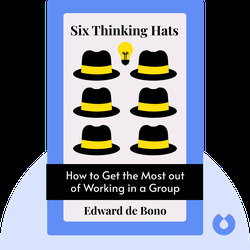 Six Thinking Hats offers you valuable tools for group discussions and individual decision making. 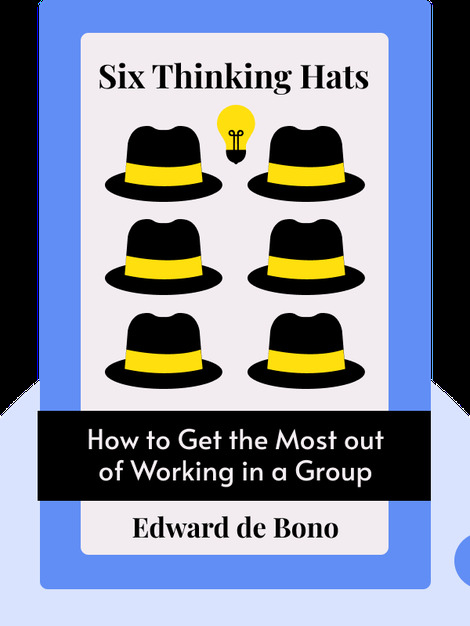 The book shows ways to compartmentalize different ways of thinking to help you and your group use your brains in a more detailed, cohesive and effective way. Edward de Bono was a Rhodes Scholar at Oxford and has held faculty appointments at the universities of Oxford, Cambridge, London and Harvard. In addition to his academic career, he has offered consultation to many multinationals, including IBM, Procter & Gamble, Shell and Ford. His bestselling books include Lateral Thinking, De Bono’s Thinking Course and Teach Your Child How to Think.